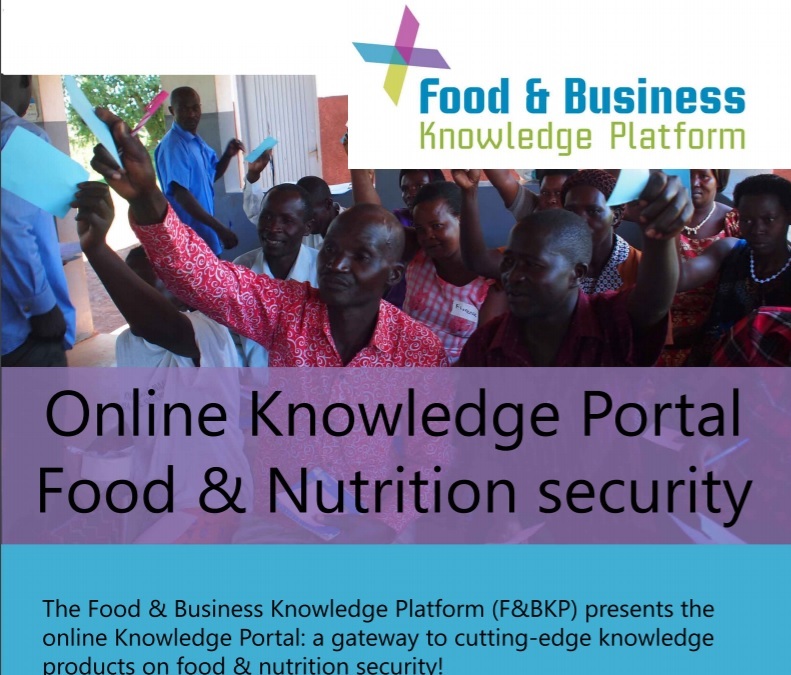 The Food&Business Knowledge Portal (F&BKP) provides you with selected references to knowledge and innovations in the field of Food and Nutrition Security (FNS). Items such as reports, briefs, toolkits and articles are selected per topic and shared by the F&BKP Office knowledge brokers and the wider F&BKP network of partners and experts in the field of FNS. You can click through to the various topic pages to find the annotated references that serve your interests or use the filter function. ​You are invited to Sign up for AIMS News, follow @AIMS_Community on Twitter... And, thanks again for your interest!